Hepatitis means inflammation of the liver. Its causes can vary greatly from being secondary to a viral infection, side effects of alcohol and certain medications, or it may be due to autoimmune conditions in others. It is an important condition to know about and have treated where possible, but diagnosis of it is often in late stages – a reason why liver disease is sometimes referred to as the ’silent killer’. In the acute phase an affected person often only has mild symptoms or may be asymptomatic. If severe the symptoms will usually be obvious and treatment rapidly commenced. However, if the hepatitis does go unnoticed – so no help/treatment is sought – the condition may become chronic, leading to scarring of the liver called fibrosis. 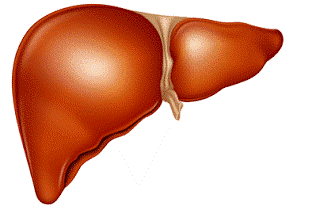 In turn this can lead to irreversible damage and failure of the liver to function properly – cirrhosis. Such scarring also increases the risk of future liver cancer. As an affordable private GP practice, London Doctors Clinic aims to help raise awareness of some causes leading to hepatitis. As well as the hepatitis symptoms to look out, we will explain how a hepatitis diagnosis is made and the possible treatments available. Acute – many adults can clear the infection naturally, but some become chronically infected. If a child is infected they have a higher risk of becoming chronically infected. Diagnosis using a blood test is usually the first step. A liver function test will show high levels of a marker called Alanine Transaminase (ALT) – if high this can show that there has been damage to liver cells and that they have broken down. If due to the harmful effects of alcohol levels of other markers may be raised too – γ-GT. There may further blood tests depending to try and see what the cause of the hepatitis is. For example looking at whether there are particles of one of the viruses in the affected person’s body or if immune cells against one of the viruses are found – showing that the person has been infected with it in the past, but managed to clear the infection. Other immune cells may be looked at to see if it is an autoimmune hepatitis – like high levels of IgG and auto-antibodies like anti-smooth muscle antibody. The treatments are mentioned in the table above, but for other types of hepatitis treatment depends on the cause. For example – if due to medications these may simply need to be stopped, but in some severe cases hospitalisation and transplantation is needed. Others still may need immunosuppressant drugs like steroids initially and then Azathioprine. However, all of these will be decided on and started by a specialist hepatologist, once a specialist referral has been made. The symptoms of hepatitis can be vague, so greater awareness of what to look out for, and what may cause it, is needed. If you’re at all concerned about hepatitis, book in today for a consultation with one of our experienced private doctors. We offer a variety of blood tests for hepatitis, for both infection and immunity. For more information please also visit the British Liver Trust.